1. Tell us a little about yourself and the Green Futures Exchange. My name is Mutasim Baba, Project Director for the Green Futures Exchange Project, and the Director of the Construction and Transportation Unit at An Najah National University in the Palestinian Territories. My work developing and launching the Green Futures Exchange Project with our teams at An Najah and at Arizona State University (ASU) over this last year has been an exciting and enriching experience. 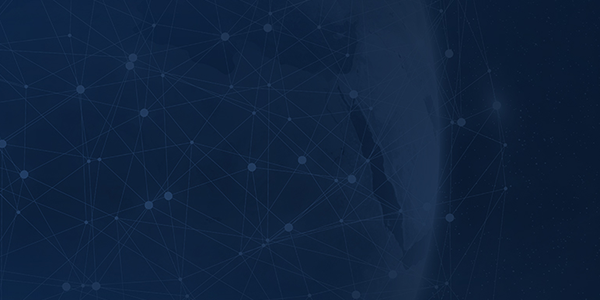 I found this exciting because of the tremendous diversity among the project members and participants. The Green Futures Exchange Project connects university students studying architecture and building engineering in Nablus, West Bank and Tempe, Arizona providing them with a deeper understanding of environmental sustainability concepts and green buildings through project-based learning culminating into a competition. The project also engages with high school students in a refugee camp in the north of the West Bank as well as from the United States through capacity building training and site visits on sustainability and green buildings. The participants at An Najah University are studying architecture and building engineering and the students at Arizona State University are studying architecture. The Arizona State University students have had minimal exposure to the culture and lifestyle in Palestine, and the Palestinian students were excited to learn more about their U.S. counterparts. Almost all participants had not experienced being part of a virtual exchange program. The high school students are from two schools based in Balata Refugee Camp in the West Bank and the U.S. high school participants are part of a student fellowship with the Chicago Architecture Foundation. 3. The program focuses on providing secondary and university students with a deeper understanding of environmental sustainability concepts, green buildings, and public policy through team-based projects. Why is this way of learning important for students in Arizona and the West Bank? Globally it is becoming more and more crucial to integrate sustainable techniques into green building designs. Palestinian Territories suffers from a shortage of natural resources, and therefore there is a need to raise awareness among school and university students to protect these resources and the environment. Through their research, the U.S. students also learned about the Palestinian culture and daily life, especially for those living in refugee camps in the West Bank. 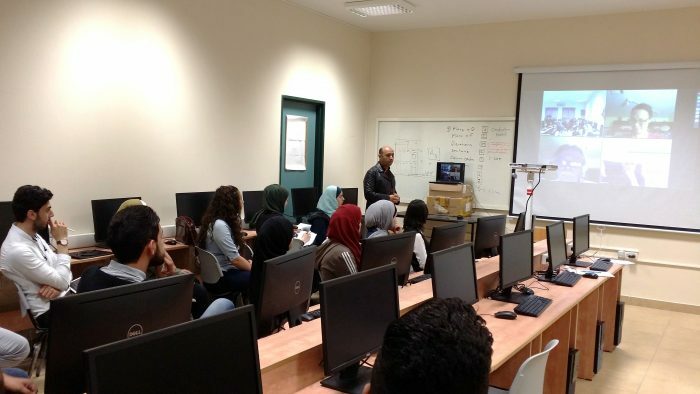 The project-based learning (PBL) component of this project provided an opportunity for Palestinian and U.S. students to learn from one another through joint activities and assignments, greatly enhancing the learning experience. This project not only raises awareness of the importance of green buildings within architecture, but also uses this topic of shared interest to support the development of strong relationships that cross borders both culturally and geographically. Many of the students had not been exposed to the field of green buildings or had minimal training before this project. Students have already started to report their increased awareness of the importance of green buildings and interest in integrating green building strategies in their senior projects and longer term within their future professional careers. Students are now more aware of the environmental issues facing the world and the Palestinian Territories in particular. Students have already started to use what they have learned from their project’s design and in day life (e.g. green building design, environmental protection measures, reuse and recycle). The in-person visit to the Palestinian Territories of a professor and project member from ASU was a great opportunity for the Palestinian participants to learn more about the U.S. educational system, environmental strategies, American culture and daily life in Arizona. During this visit to the West Bank, the Palestinian participants were amazed with their ability to communicate freely in-person as well as through their virtual exchange with American team members and participants. 5. What makes the Green Futures Exchange model unique? The Green Futures Exchange project is unique because it incorporates three different strategies, including project based learning (PBL) focused on green buildings, a competition among the PBL teams, and of course virtual exchange. These different components have proven to work together to maximize student motivation and help break down cultural, language, and educational barriers while also increasing understanding of the socio-political context of Balata Refugee Camp for both the Palestinian and U.S. university participants. 6. Why is virtual exchange important for your participants? Virtual exchange is becoming an increasingly important tool for education and cultural exchange. Particularly for our Palestinian students who face many barriers and limitations to movement and travel, having the opportunity to connect with students internationally is a great way for them to learn about other cultures and is a powerful tool of diplomacy. All participants found in virtual exchange the opportunity to not only exchange information within a common academic field, but an opportunity to improve their communication skills and forge meaningful friendships with their counterparts.